For over twenty years we have built a network of the best professional agents in the most desirable locations. We offer our clients a tailored personal service. We make sure that buying your overseas property, from initial viewings to final purchase, goes as smoothly as possible. The breathtakingly beautiful region of Tuscany stretches from the Tyrrhenian Sea in the west, to the foothills of the Apennine Mountains in the east. Bordering Latium to the south, Umbria and Marche to the east, and Emilia-Romagna and Liguria to the north, this triangular shaped area manages to combine the cultures of its neighbours with a tranquillity and beauty all of its own. 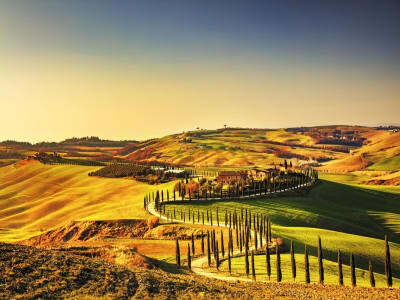 Tuscany has a timeless appeal, from hilly pastures where cattle are still herded on horseback, to dark oak forests and sleepy, sun drenched vineyards. The landscape is dotted with hill towns, rural farmhouses and moss-covered castles that time seems to have forgotten. 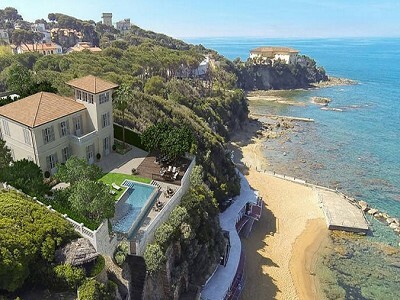 To the west, lie long, sandy beaches backed by pine forests, occasionally punctuated with rocky headlands and picturesque fishing villages where attractive and affordable Tuscany properties can be found. Of course, this breathtaking scenery could not go unnoticed by artists compelled to immortalise it on canvas. Many of these paintings are to be found throughout the region, tucked away in galleries, museums, and even tiny village churches. The most famous of these collections can be found in the Uffizzi Museum in Florence, which holds a vast collection of art and sculpture along with documenting the rise of the Italian Renaissance which is so much a part of Tuscan history. Famous Tuscan residents include Michaelangelo, Giotto, and Dante. There are many ways to enjoy the scenery of Tuscany, but perhaps the most renowned is by horseback. Tuscany is famous for its equine pursuits, unsurprising given the long history of herding cattle on horseback. Cowboys still practice their skills on the slopes, coming together in the towns for parades and rodeos, and even races and jousts! The spectacular national parks can also be explored on foot or by cycle, or the beautiful backdrops can be enjoyed while playing golf. There are two excellent golf courses in the area, one just outside Florence, and the other on the famous island of Elba. Skiing is also available in Tuscany, either in the Apuan Alps north of Florence, or on Mont Amiata. What better way of enjoying such delights than to find your dream home by viewing our wide range of Tuscany property for sale. Exploring the many beautiful towns and villages can also be very rewarding, almost all with a hidden treasure or two. As well as historic churches where peace seems to radiate from the walls themselves, there are a variety of mineral spas in the area, long considered beneficial for their healing waters. The towns and villages also hold regular outdoor markets, radiating with colours and aromas and a variety of annual festivals and fairs. Many of these are historic occasions, celebrating the town’s medieval origins with pageants and jousting tournaments, for example at Arezzo, ancient traditional ball games, such as at Prato, or even commemorating long passed battles, such as the water games at Pisa. Perhaps the most famous island in Tuscany is Elba, which the exiled Napoleon called home. This island has an untamed beauty where fragrant shrubs tangle with bushes and flowers on the exposed hillsides. Though just ten miles from the mainland, Elba has a sleepy charm, its coasts dotted with fishing villages like Marina di Campo and Monte Cristo, famous for the count, which hire boats to explore the rich variety of the landscape. As the home of the much-famed wine, the British have long called the area of Tuscany populated with vineyards ‘Chiantishire’. The capital of this beautiful area is Cortona, one of the oldest towns in Tuscany. The medieval city lies within imposing town walls, separating it from the surrounding olive groves and vineyards. Nearby Arezzo is as famous for its previous inhabitants as Cortona is for its wine. Petrarch, father of the Italian language, and Guido d’Arezzo, inventor of the modern musical scale, both hailed from this historic town. Modern Arezzo is filled with masterpieces, including the 'Duomo' with frescoes by Piero della Frencesca. There is also beautiful architecture, including the 15th century church of Santa Maria with its terracotta and marble altar. Other towns and villages are more lively resorts, catering for those that like a faster pace of life. Viareggio is a beautiful beachside resort, famed for its raucous February carnival and Forte dei Marmi draws worldwide visitors to experience its unique resort culture, with exclusive café bars and chic boutiques. 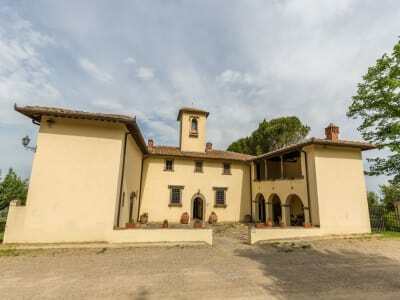 We have Tuscany property for sale in many of the beautiful Tuscan villages and towns. 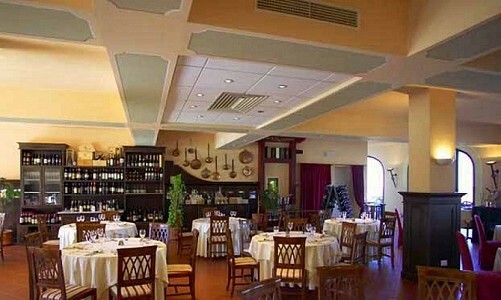 Many places in Tuscany, as would be expected, are famed as havens for art and culture. Though DH Lawrence described Volterra as ‘grim’, due to its seaward-looking imposing fortress, the churches and palaces in the town are filled with masterpieces and the feel of the town itself conjures images of its long and rich history. Torre del Lago is the fascinating home of Puccini, with outdoor performances of his operas beside the lake. The town of Pienza, known as the ‘author’s city’ or the ‘Pearl of the Renaissance’, was redesigned in the 15th century, including carefully laid streets, architecture, squares and churches. Lucca is famed for its city walls and its sense of community. Here the locals are especially friendly and accommodating, welcoming visitors on their afternoon strolls around the ramparts. Montepulciano has legendary medieval churches and Renaissance palazzi. The Contucci Wineries occupy the ancient catacombs beneath the city, bearing testament to the long history of this picturesque town situated in breathtaking countryside. Even the little village of San Gimignano has a distinct beauty as the 13 medieval towers rise from the landscape on the horizon, and the 14th century monastery at Monte Oliveto Maggiore has a wealth of frescoes, and even a pharmacy selling herbal cures made by the monks. Amongst the wealth of architectural beauty, like the 13th century fortress and Romanesque cathedral in Prato, there are many natural and prehistoric sites of interest. A short distance from Sovana, situated with in huge forest, are both Estruscan tombs and magnificent standing stones. The unique thermal waterfalls of Saturnia, by the ancient hill town of Pitigliano are also well worth a visit, as is the town itself with its broad, unspoilt, sandy beaches and wildlife refuges. 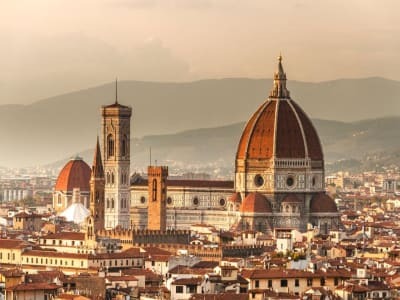 Amongst the most famous of the cities in Tuscany are Florence and Pisa. Florence is the capital of the region, and long renowned as a worldwide centre for art and culture. Though a busy city, its charm is undeniable, with oases of tranquillity dotted around the city, with quiet lanes bordered with tall stone walls and, beyond them, beautiful villas surrounded by cypress trees. Pisa, a busy cosmopolitan city, is most famous for its leaning tower. What is less known in Pisa are the wealth of art galleries and cultural exhibitions, the picturesque buildings and the nearby sun drenched beach, dotted with bars and cafes. Various taxes must be paid on purchases. Registration tax / stamp duty (Imposta di Registro) is calculated on the government’s valuation of the property (Valore catastale). This will vary according to whether the property is being purchased as a holiday home, or as your primary residence. 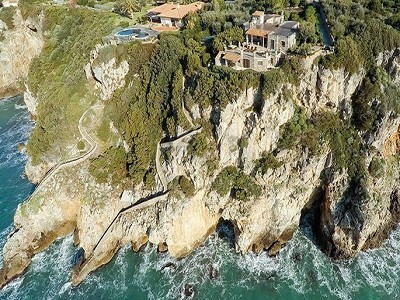 For a holiday home stamp duty will be 10% of the valuation. If you are intending to use the property as your primary residence and apply for residency (Prima casa), providing this is done within 18 months of the property transfer then stamp duty will be reduced to 3% for an existing property and 4% for a new build. This will be paid to the Notary on completion of the purchase. Land registration, mortgage and cadastral taxes also need to be paid to the Notary on completion. These are one-off payments and are around €168 each. Once the property has been purchased further taxes must be paid. There is a local council tax ICI/IMU property tax (Imposta Comunale sugli Immobili) of 0.4% to 0.9% of the property’s cadastral value. The rate for this is calculated annually by the council and paid bi-annually in June and December. This rate will be reduced if the property is the primary residence (Prima Casa). If you are not resident in Italy you will have to declare any income gained from activities in Italy to the Italian Tax authorities. This income will also have to be declared in your country of residence, you will need a double taxation agreement to mitigate against paying twice. This declaration will apply to any income you might obtain from letting a property in Italy. Some expenses incurred on the property may be off-set against the income you derive from letting out the property. This can include management expenses, local taxes, repairs etc. There is one tax which applies only to holiday homes, there will be a 20% Capital Gain on the difference between the buying price and the selling price if the property is sold prior to 5 years ownership.